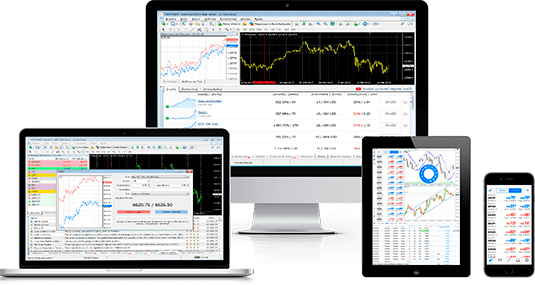 MetaTrader 4 is specifically designed to provide our clients with the ultimate trading experience, combining automatic market updates in a user-friendly layout, alongside internal news updates and the ability to create and deploy technical indicators, as well as Expert Advisors or EAs. The MT4 platform comes fully installed with an advanced charting package containing more than 30 technical indicators to help support your trading decisions. What’s more this charting package is fully configurable, allowing you to view single or multiple charts within one window. Our live clients receive regular market updates alongside the latest analysts’ picks from both our in-house research team and Trading Central. To find out more about our free online resources by simply visiting our education section. 6. You just need to Login with the login details that were sent to your registered email address. Follow these 2 steps to install Blackwell Trader MT4 for Mac OS. Wine is a free software that allows programs which were written for Windows to run on a Mac. This includes the Blackwell Trader MetaTrader 4 software. * Wine is a third-party software and is not a fully stable application. The performance of the applications that you may run under Wine could thus be affected. PlayOnMac is a Wine-based software that assists in your installation of Windows-based software on a Mac OS, including the Blackwell Trader MetaTrader 4 software. For a step-by-step guide to this process, please visit MetaTrader 4’s Install Terminal for Mac OS webpage.